The Mercury Theater on the Air, in Sutter Creek! “The 39 Steps” ~ 3 Performances Only! 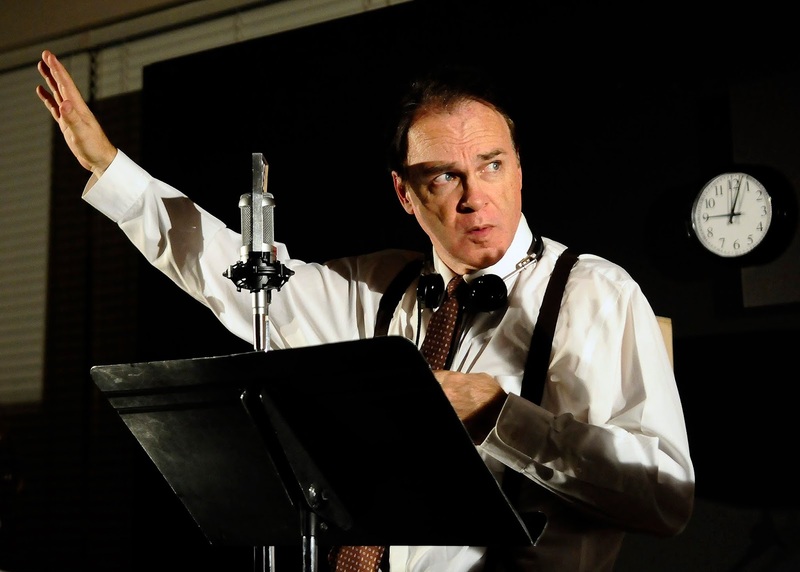 JACKSON, CA (September 25, 2018) – The finest radio dramas of the 1930’s was The Mercury Theater On The Air, founded by Orson Welles and John Houseman. Together, they presented many classic pieces of literature, and shook the country with it’s terrifying staging of “War of the Worlds.” Main Street Theatre Works (MSTW) is re-creating one of these literary classic radio plays, The 39 Steps, complete with live sound effects. This limited-engagement fundraiser will have two matinee performances ~ Saturday & Sunday, October 20 & 21, and one evening performance on that Saturday night, at the Native Sons Hall in Sutter Creek. Tickets are $25 and include a dessert bar, coffee or tea, and the show. A no-host wine bar will be available Saturday. Also, as part of the fundraising efforts, MSTW will be holding a raffle, giving away lodging in scenic Lake Tahoe ~ A beautiful condo at the Lake Tahoe Vacation Resort, on the lake at the corner of Ski Run Blvd and Hwy 50. The condo has one bedroom and a full kitchen, and access to a variety of amenities including a pool, Jacuzzi, sauna, full bar, restaurant and more. Accommodations are for two nights, Sunday through Thursday. Raffle tickets will be sold at The 39 Steps performances, or can be purchased from a MSTW board member. Raffle ticket holders need not be present to win. 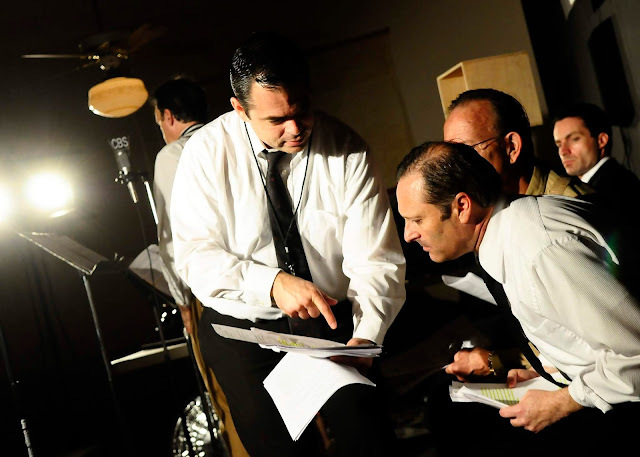 MSTW Company Member, Allen Pontes, has produced, directed and starred as Mr. Welles in the past seven productions ~ The War of the Worlds (2 years in a row), Dracula, Treasure Island, The Count of Monte Cristo, The Immortal Sherlock Holmes, and Around the World in 80 Days. The show adheres to the same time constraints (60 minutes), same script, and live sound effects, just the way Orson would want it. It’s a fun flashback to the days when people “watched” their radios, and sound effects were done live. Other cast members include Scott Adams, Julie Anchor, Mike Sicilia, and Richard Williams, who share the duty of portraying the more than 24 different characters and producing the sound effects live. Join us for this special event and see how the magic is really made, while supporting Main Street Theatre Works. Seating is limited, so get your tickets early! The 8th biannual Quilt Show, sponsored by the Mother Lode Quilter's Guild (MLQG) will take place in Sutter Creek, October 6-7, 2018. Quilts will be displayed in Sutter Creek Auditorium on Main Street, Church Street Community Center, and throughout shops located on Sutter Creek's historic Main Street. The hours are Saturday, October 6, 10:00 - 5:00, and Sunday, October 7, 10:00 - 4:00. Admission is $7.00 at the door, or pre-sale tickets are $6.00 at MIY Studio, Martell, CA. This years opportunity quilt is Winding Vines of Amador. 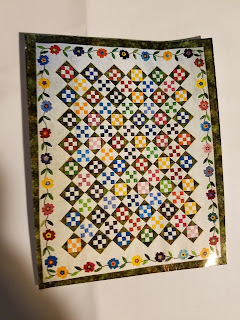 The original pattern is from Happy Stach quilts by Marcia Harmening, called "Taffy Blossoms". It was pieced by several members of MLQG and quilted by Shannon Ryan-Freeman of This Chick Stiches. Threads Quilt show will have vendors, a Country Store, raffles, wearable art and a silent auction. The featured quilter this year is Kathy Allen. After retiring as a scientist/project manager for 25 years, Kathy took a beginning quilt class from Anelie Belden. She started on a 25 year old Singer sewing machine that had never been out of the box. From the beginning she was hooked. Kathy's job had taken her around the world, and wherever she went, she was drawn to fabric arts. In addition to fabric, she was drawn to history. A trip to Scotland with all their lovely tartans gave her inspiration for her first book - Modern Scot patchwork. 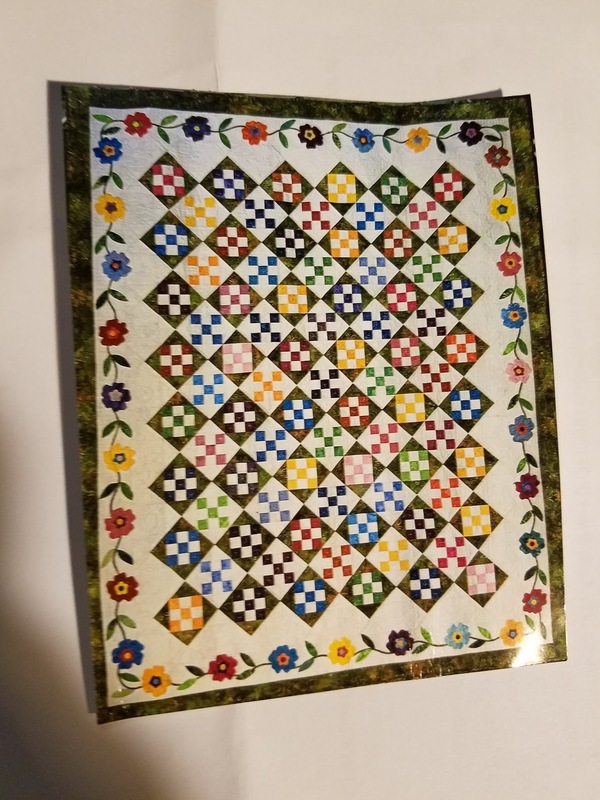 Her vocational experience made it possible for Kathy to devise the math necessary to turn these ancient designs into quiltable modern patterns. The MLQG was formed in 2003 to preserve the traditions, history and culture of quilting. The funds raised by MLQG are used to support local charities, such as the Interfaith Food Bank, Sutter Amador Hospital, and Operation Care. Quilts made by MLQG members are donated locally to seniors, newborns, and foster children. 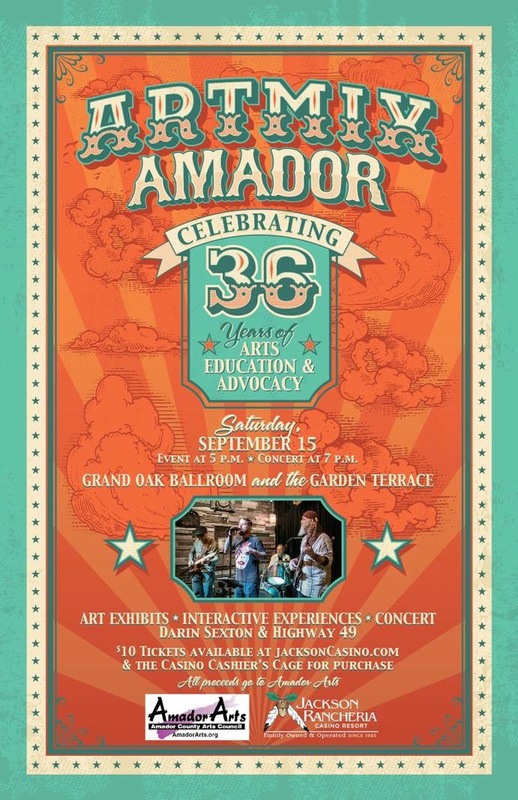 On the evening of September 15th, 2018 at the Jackson Rancheria Grand Oak Ballroom & Garden Terrace, hundreds of locals and tourists engaged in all kinds of art to celebrate the creative economy of Amador County. With 2 hours of student performances, a student-designed community mural, and a student-choreographed flash-mob dance, ArtMix Amador proved to highlight the vast range of art in this unique, rural community. Interactive art booths allowed attendees to explore water color, Matisse collage, O'Keeffe pastel chalk, and Chinese painting techniques. 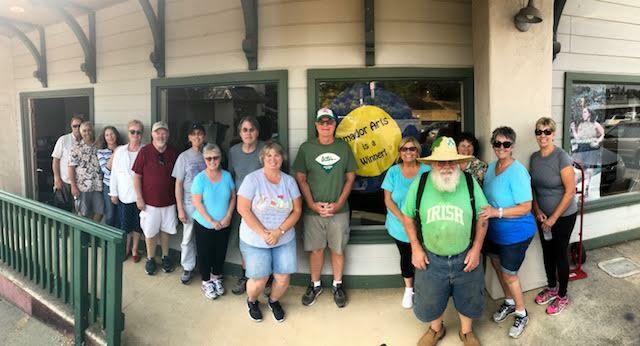 The Amador Makers Club highlighted make-n-take t-shirts, cups, and more. 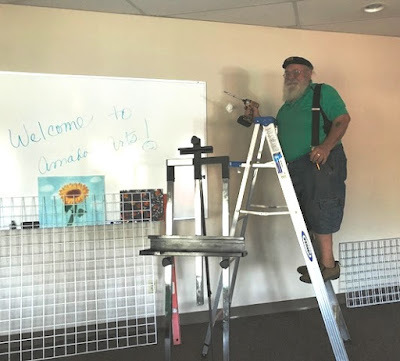 Meanwhile the Amador County Artists Association highlighted their commitment to local, visual artists with their "Art in Public Places" program and scholarships for graduating student artists. Following the student performances of musical theatre, dance (hip-hop, jazz, tap, and pointe), and poetry, the first ever Poet Laureate, Kat Everitt was appointed to serve the next 2 years by amplifying local culture through the traditions of poetry. 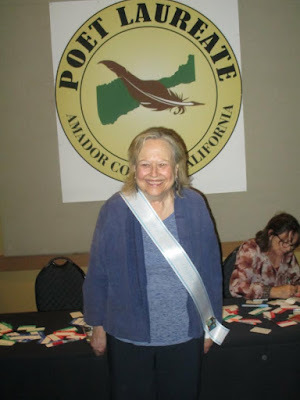 Everitt was quick to note that poetry and the creative economy are reliant upon collaborative and unifying efforts, explaining that her term as Poet Laureate will unite and energize all creative writers in the Mother Lode. The evening saw generations of locals and tourists engaged in various art projects and experiences. Darin Sexton and The Hwy 49 Band followed the student performances with classic rock 'n roll that had entire families on the dance floor, especially for the group flash-mob dance which was choreographed by Amador sophomore, Portia Boyd. The Jackson Rancheria Band of Miwok & Staff for donating the space, the sound, and the event infrastructure. The students of Amador County who direct our efforts and inspire our vision. Their parents, for supporting a well-rounded education for the future of our community. Argonaut junior, Deja Douglas designed the community mural for ArtMix Amador and is an AmadorArts Student Director as well as a statewide arts education leader. She is one of three students who introduced the Declaration of Equity in Arts Learning to Amador County, adopted by ACUSD School Board in January of 2018. Over 30 kids and adults collaborated at ArtMix Amador to paint the mural designed by Argonaut junior Deja Douglas. Young and old alike, dance together to choreography by Amador sophomore, Portia Boyd, with live music by Darin Sexton and the Hwy 49 Band. On behalf of the Board of Directors of AmadorArts, we thank you all for attending and supporting ArtMix Amador and for your continued support of Arts Education and the local Creative Economy. AmadorArts is proud to announce the winner of the first-ever Poet Laureate of Amador County: Kat Everitt. She will take on the two-year term of promoting poetry to schools and in the community, an honorary position that dates back to England in the 1600’s. Everitt has been writing poetry since the age of eight. You might recognize her name and her poetry because currently she’s writing “Rivers and Rhymes twice weekly in the Amador Ledger Dispatch, a column for which she was recently honored with an award from the California Newspaper Publishers. She also won poetry awards in 2015 during the AmadorArts Mokelumne “River Reflections” Project, and in 2016 during the Calaveras Arts Council’s “AnimalScapes” Project. Everitt resides with her husband Den McCue in Pioneer and has an accomplished life in many fields beyond being the devoted matriarch of a large family. She’s been a Public Health Registered Nurse; a K/12 Credentialed Teacher; Woodworker; Master Gardener; Swimmer/Scuba Diver/Amateur Oceanographer; Folksinger; and Radio Broadcaster/Interviewer. As the latter, she’s compiled 150 interviews of “Women Making a Difference” for KQBM. 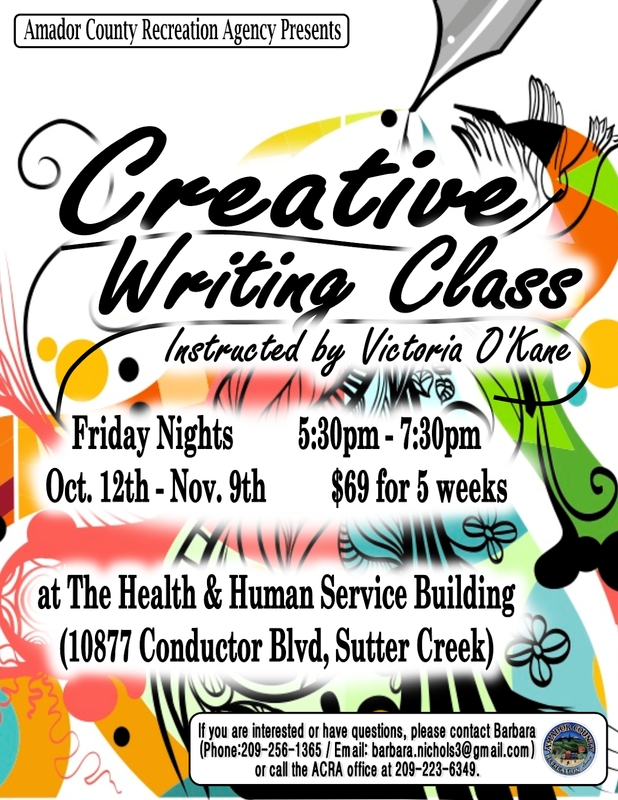 In addition to creative writing, Everitt’s been a skilled technical writer, producing Nursing Programs; Teaching Curriculums; Grants; Non-Fiction work; and many Short Stories. In her two published cookbooks each recipe comes with a short poem. JACKSON, CA- Vince Neil, legendary front man of Mötley Crüe, will rock the stage of Jackson Rancheria Casino Resort’s Grand Oak Ballroom on Friday, March 22 at 7 p.m. Starting out as a teenager playing in local rock bands, he soon found his passion as a singer and performer. After starting the popular band Rock Candy, he reunited with high school buddy Tommy Lee in 1981, and Mötley Crüe was born. His remarkable voice and captivating stage presence contributed to Mötley Crüe’s epic 34-year run, including countless multi-platinum releases, selling over 100 million albums, global tours, and more than 22 hit singles, which have been the rock anthems for generations of fans. The big hair may not have survived past the 80’s, but hits like “Shout at the Devil”, “Girls, Girls, Girls”, and “Home Sweet Home” are still blowing out speakers today! 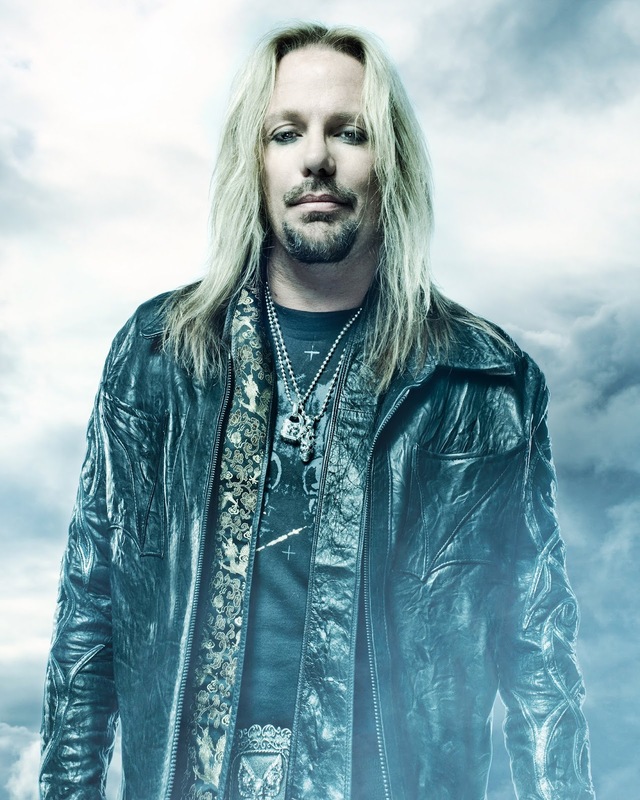 Vince Neil is not only an international superstar and rock legend, but he’s also an accomplished businessman, philanthropist, and celebrity icon. Along with appealing to the masses with his continued performances of classic Mötley Crüe hits and those from his three solo albums, he also manages several restaurants, produces his own brand of tequila and vodka, and raises millions of dollars for The Skylar Neil Memorial Foundations, a non-profit organization in honor of his daughter who lost her fight with cancer in 1995. With no signs of slowing down, Vince Neil, will rock our audience as he brings “The Legacy Continues” tour to our Grand Oak Ballroom stage. Don’t miss your chance to see this rock legend live! Tickets are on sale now starting at $50 for Dreamcatcher’s Club® members, available only at the Casino Cashier’s Cage, and starting at $55 for non-Dreamcatcher’s Club® members, available at the Casino Cashier’s Cage or online at JacksonCasino.com. Will Call opens at 5 p.m., doors open at 6 p.m., and the music starts at 7 p.m. Beer, wine, and food will be available for purchase. 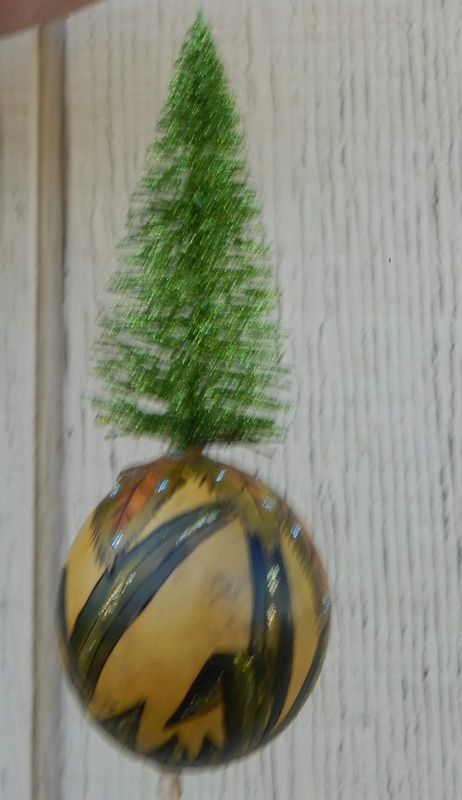 The Amador Gourd Artists, established in 1998 in Amador County, is dedicated to promoting interest in all activities relating to gourds: cultivation, gourd show competition, craft-work, artistic decoration and preserving the history of the hard shelled gourd. 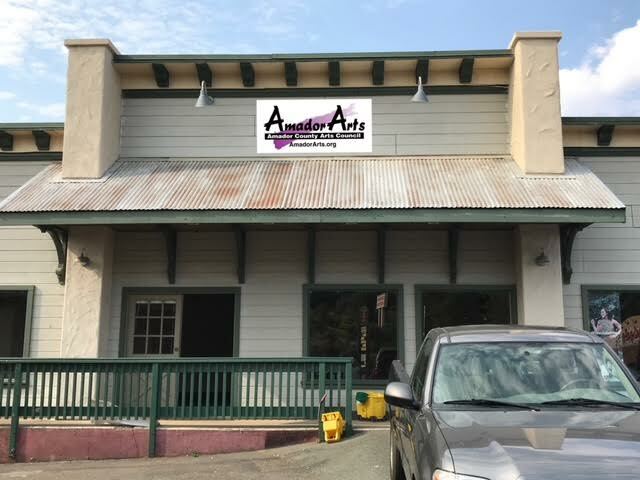 One of their objectives is to further the arts in Amador County through the funding of scholarships. 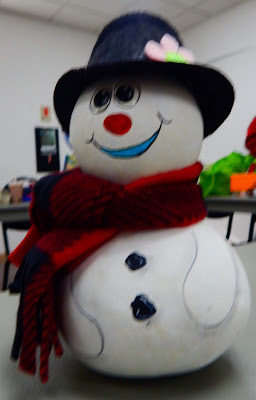 The annual Ornament Workshop is one of the ways monies are raised. The workshop is designed for beginners as well as experienced gourders. Participants will take home three completed projects, learning wood-burning, painting and other techniques in gourd work. All materials are provided in the $45.00 class fee; just bring a sack lunch. The workshop is Saturday, October 20, 9:00-3:00 (or whenever projects are completed) at the Ione Memorial Hall, 207 S. Amador St. Ione. To register, send your check for $45, with your name, address, phone, and email to: Carole Meltzer, 1925 Gold Strike Rd. #705 San Andreas, CA 95249. 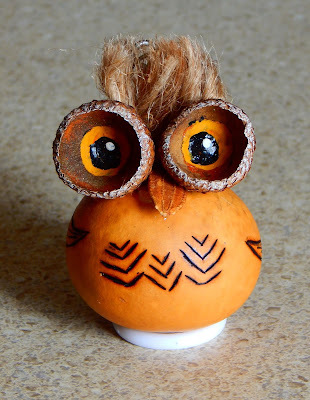 The Amador Gourd Artists meet monthly at the Dept. of Agriculture Building 12200 “B” Airport Rd. Jackson CA 95642 from 9am – 12noon. (August and December meetings are held off-site, as might other months.) Meetings have 3 main elements: Business, Gallery (Members sharing their work), and Activity (A hands-on or demonstration of a technique) and are open to all who are interested and all levels of ability. For more information regarding the workshop or the Gourd Club, call Carole at 209-743-9258. “ArtMix Amador” on Saturday September 15 will be a celebration of Amador County’s 36 years of having the arts as a cultural catalyst in the region. Starting at 5:00 pm and going until 9:00 pm, be a part of an incredible evening of art demos, performances, DIY murals, live dance music, fire dancer, a flash mob and more…a family-friendly party to end all art parties. Crazy interactive art experiences and exhibits will span from the Garden Terrace to the Grand Oak Ballroom of the Jackson Rancheria Casino Resort. hese will include many unique types of creativity, a community mural, community poetry, and more. 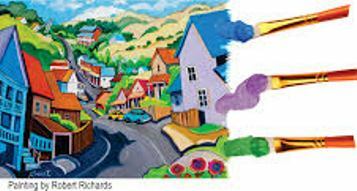 See what the sizeable Amador County arts community has to offer, including performances by students from Amador, Argonaut, and Independence High Schools, as well as home schools, who have amazing talents in poetry, music, theater, and dance. 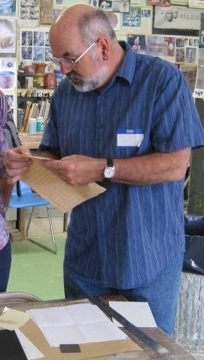 You’ll see a sampling of art teachers who normally share their expertise in local schools thanks to the Arts Education Program of AmadorArts. The naming of the first-ever Poet Laureate of Amador County will be announced, after a recent nomination and selection process. This honorary 2-term position will go to a local outstanding poet, whose task will be to integrate poetry into the community, including young people. 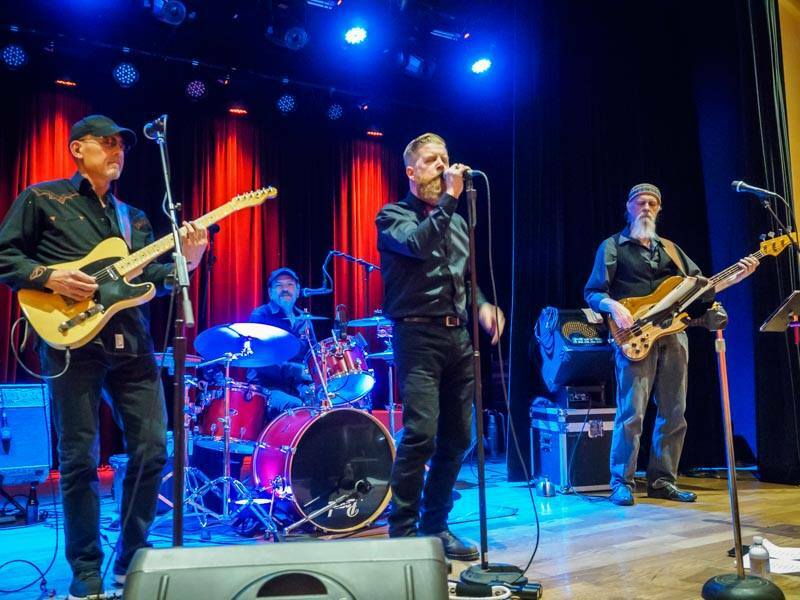 Live dance music begins at 7:00 pm with local favorite, Darin Sexton and the Highway 49 Band. Even a fire dancer and a Flash Mob surprise will entertain. Enjoy all this, along with the 36 years of memories, with food, and thirst quenchers, too, since concessions and bars will be open adjacent and available for purchases. Open to the public, the $10 tickets available at JacksonCasino.com or at the Cashier’s Cage in the Casino. All proceeds will benefit the non-profit Amador County Arts Council. Celebrate what the non-profit Amador County Arts Council, aka AmadorArts, has done since 1982 providing Arts Education, free concerts and support to arts organizations, funded by contributions from the community and as a annual recipient of grants from the California Arts Council, a state agency. The Jackson Rancheria Casino Resort is located at 12222 New York Ranch Rd., Jackson, CA, best approached by taking the main entrance off Highway 88. Darin Sexton & Highway 49 Band will perform starting at 7 pm. 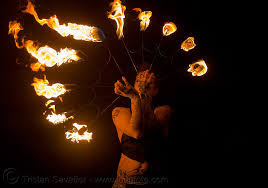 A fire dancer will brighten the Sept. 15 celebration. Interactive art invites guests to create. 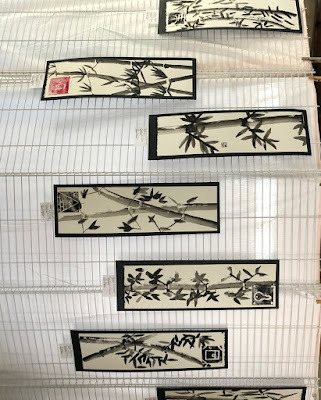 will be teaching Chinese painting. You can see how to create in chalk and pastels.